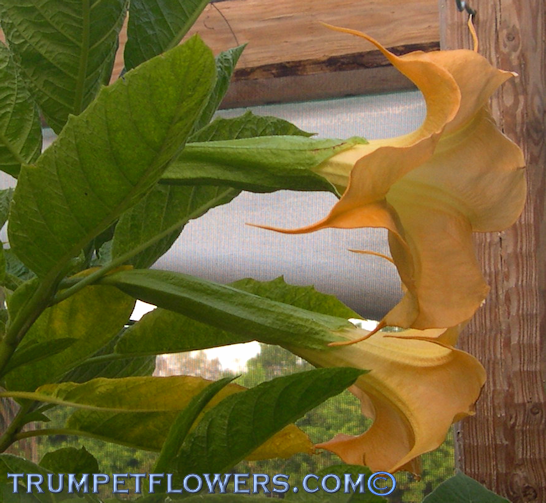 Brugmansia Berstein has a beautiful calyx, that reminds one of a glove that just slips the bloom out. 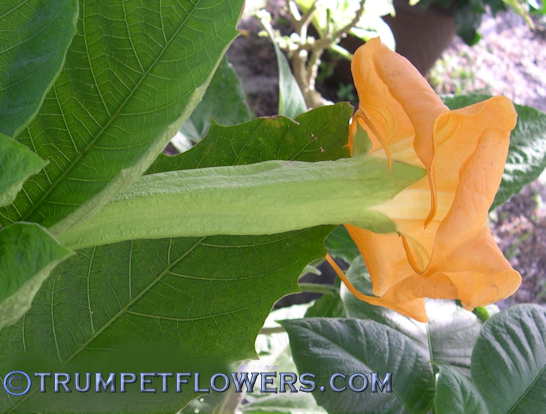 Intense yellow and orange colors gleefully announce a Bernstein brugmansia bloom. 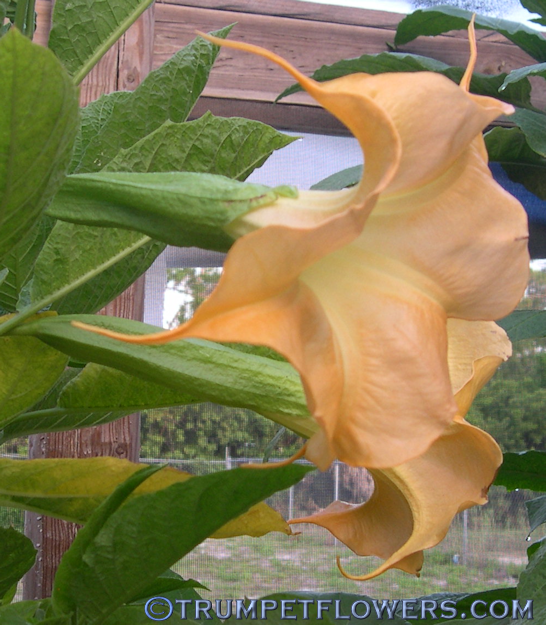 A German brugmansia, created by Dorothea and Herbert Langenberg. Bloodline is Super Rose	B. X Candida (apricot). Published in 2003. 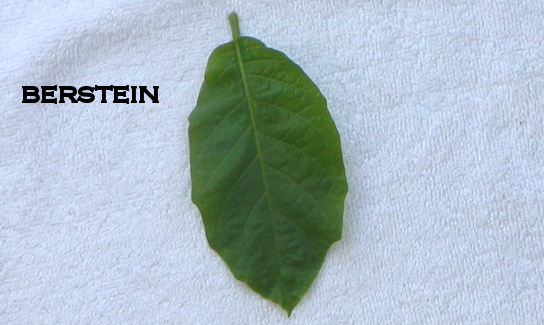 Berstein a few days into bloom and the teeth begin to curl tighter. 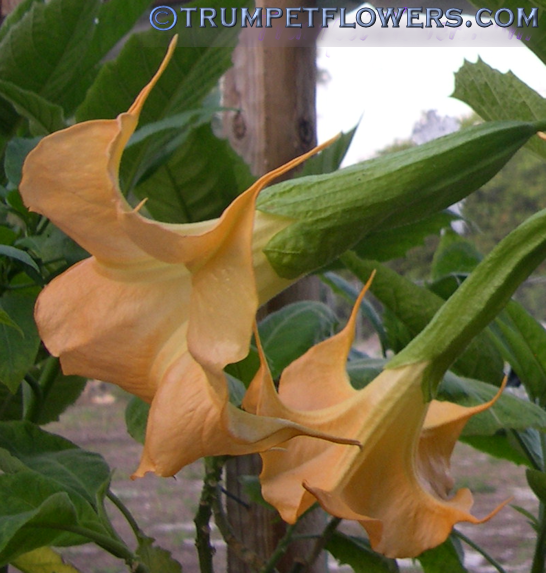 Angel Trumpet Bernstein has a lime green leaf that is shiny and smooth to the touch. 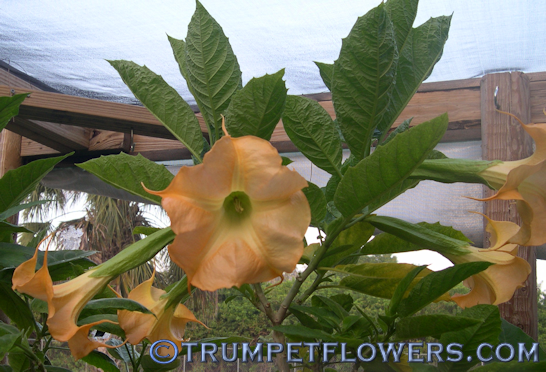 This entry was posted on April 22nd, 2012 and is filed under Brugmansia Gallery.